This week I am taking a short break from my grey sampler quilt to share a little Bee crazy with you. I was super excited to recently joined a do.good. Stitches circle. I excitedly did the first blocks for my Bee, forgot to photograph them and then sent them to the wrong person. I was off to a flying start with the group! The requested blocks were from Liesel Made’s crazy mini patchwork sampler series. You can find the original post here. As I read the instructions for making the block I thought there had to be a way to make this which was not going to freak me out. My answer was of course PAPER PIECING! 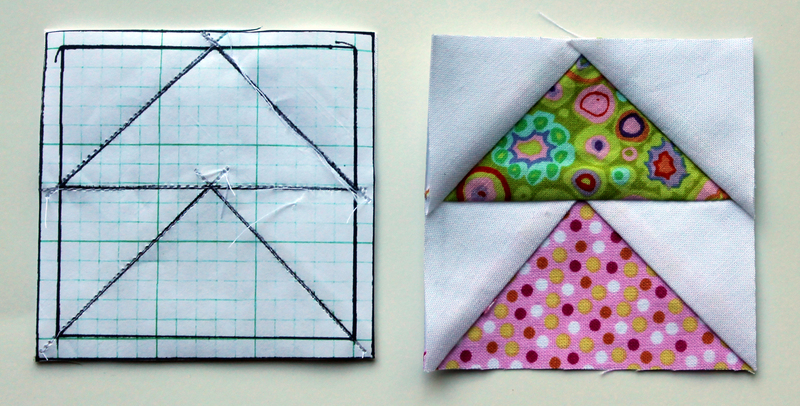 Paper piecing was the only way I personally was going to be able to make those precise little triangles. So I pulled out my graph paper and made a pattern. In the end these were fun blocks to make. 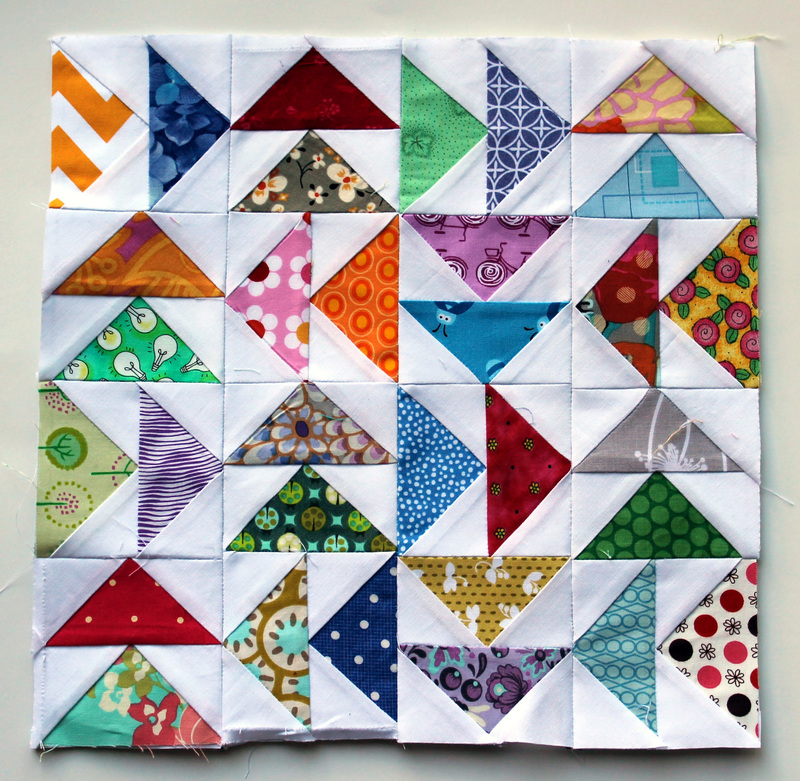 I used up lots of little scraps which always makes me happy and messed with the triangle layout a little. If you want to make this block the paper way, please feel free to use my graph paper pattern – 3 inch Flying Geese pattern. Next week it will be back to our regularly scheduled program. PS Can I ask why ‘Wombat’? My Australian friend and I used to joke about opening a pub and we’d call it The Tartan Wombat. I’m from Scotland, so opening a pub appealed to me, for a while…. I am not sure why I picked Wombat. It just seemed like an appropriate name. I seriously live the idea of The Tartan Wombat. I want it to be my local. That block was indeed a challenge–well met. As always, your work is a pleasure to see. Thanks for sharing your method…. And your madness! Ha, ha! Beautiful job on all those geese, Cath! Thanks Lorna. There is definitely madness in this block and lots of it. Sweet! I love all the colors you managed to get in there! Thank you thank you thank you for your template!!!! I want to make a flying geese quilt but it’s not happening without paper piecing. That is a load of teeny little geese! Love how that looks! Great blog on flying geese! Would you mind if I included your pic and added a link to your page on a post I’m writing? I would not mind at all. Thanks for asking.